Our work around the world only possible because of our generous sponsors, whose regular donations enable us to commit to the responsible, long-term care of children at risk. We are here to answer your questions about how to become a sponsor and change children's lives. A child or village sponsorship is a recurring financial donation made by an individual, organisation or company, in which the funds are set aside for the specific purpose of supporting the children in the SOS Children's Villages on a long-term basis. What is the difference between a child and a village sponsorship? As a child sponsor you follow your sponsored child on her or his journey through childhood and into an independent life. As a village sponsor you will follow all the children and their everyday life in a village. After registering for a sponsorship you will receive a welcome package containing a description and a picture of the sponsored child or village. In addition you will receive updates from our colleagues in the country where you are sponsoring twice a year. We will also send you our bi-annual online magazine, “SOS Impressions,” with stories about our work around the world. Although you cannot choose a specific child, you are welcome to inform us about any wishes concerning age, gender or country and we will do our best to fulfil your requests. Can I write to and visit the child I sponsor? You are welcome to send letters to your sponsored child. Personal letters from sponsors to their sponsored children are translated in the national office and forwarded to the child. Some children wish to answer the sponsor and they then receive all the help they need to write a letter. Sponsored children are, however, put under no obligation to reply, and the responsibility of replying to letters is mainly taken on by the co-workers in the national office. It is indeed possible to visit a village. However, the privacy of all the children in our care and their right to a loving and stable upbringing will always remain our priority. When planning to visit an SOS Children's Village please understand that SOS Children's Village families and facilities must keep to their daily routines. The visit should therefore not last any longer than a maximum of one day a year. You should also involve the other children in the family in your visit so that they do not feel as though they are being relegated to the background. To ensure the visit is a success, the national office must be informed of the visit at least four weeks in advance. Only then can a co-worker be available to show the sponsor around the SOS Children's Village and to translate, if necessary. You can receive information about the exact address and position of the SOS Children's Village from the national office. To make sure that the visit is a good experience for all parties you will be required to read through and sign our Guide for Visitors to National Associations – this will be sent to you prior to your visit. Taking on a sponsorship is a voluntary commitment and not a binding contract. Our aim is to build lasting relationships with our sponsors and guarantee financial support for the children in our programmes as well as the supporting facilities. The children in our care leave the international sponsorship programme when they move from the village or at the latest when they turn 23 years old. What costs are covered by the sponsorship contributions? Your sponsorship contribution goes towards covering the living costs of the children in an SOS Children's Village. Your support helps us meet their daily needs, and guarantees that they receive quality medical care and education. When quality schools and medical centres are not available in the surrounding community, we build them. As such, many SOS Children's Villages have supporting facilities such as SOS kindergartens, SOS Hermann Gmeiner Schools, SOS social centres and SOS medical centres. Children living with their biological families in the surrounding communities may then also benefit from SOS schools and health services. In addition, your contributions may go to helping support an SOS family strengthening programme. These programmes help struggling families in the community, as a means to prevent family breakdown and child abandonment. We would like to inform our sponsors and donors that 10% of your donation or sponsorship contribution goes towards administrative costs. How do you protect the privacy of children in the SOS Children's Village? You are a key stakeholder in ensuring that sensitive information about your sponsored child is not shared with third parties outside your immediate family or circle of friends. We kindly ask you not to publish pictures or information about your sponsored child or family on Facebook or any other social media. A child's right to privacy and the need to observe data protection laws are paramount. This means that sensitive information about a child's background will never be included on our website or print materials without changing the child's name. It is also essential to protect the dignity of sponsored children, by not putting their lives on show to the public. Can I get a receipt for my contributions? Tax authorities in most countries will accept receipts for donations, as long as they are for a contribution made in that country. We therefore encourage you to donate or sponsor through the SOS Children's Villages association in the country where you live. If there is no SOS Children's Villages association in your country, SOS Children's Villages International will gladly process your contribution and ensure that it reaches the SOS Children's Village you wish to help. In such cases, we send an acknowledgement of the donation, but we cannot issue a tax deductible receipt. Please have a look inside the Sponsorship Handbook. Your sponsorship makes a real difference in a child's life. 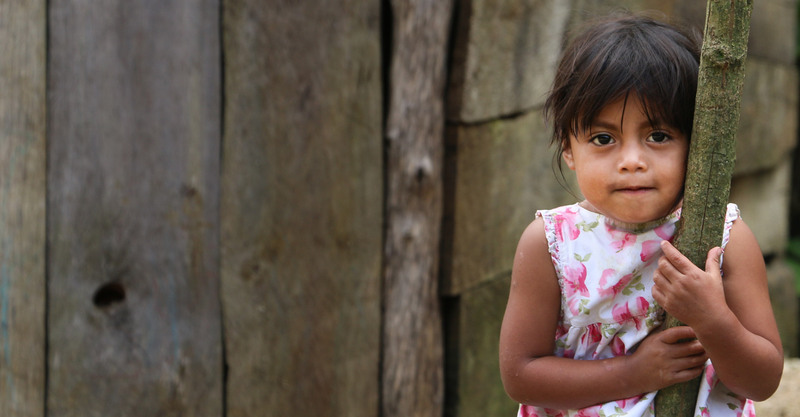 Become a village sponsor and help give children a loving home. Your donation helps us support children and families in need.